I always feel the giver shows an extra level of thought when they gift me with a book that is about things they know I am experiencing and care about. On the most difficult Christmas of my life, I was given a copy of Simple Abundance. It is written as a chapter for each day of the year and I used that book as an anchor as I found my way in a new and sometimes frightening life. Other books have been invaluable learning tools and sources of enlightenment. I've loved gardening books, cookbooks and magazine subscriptions. These are a few suggestions for the people on your gift list who have special interests. 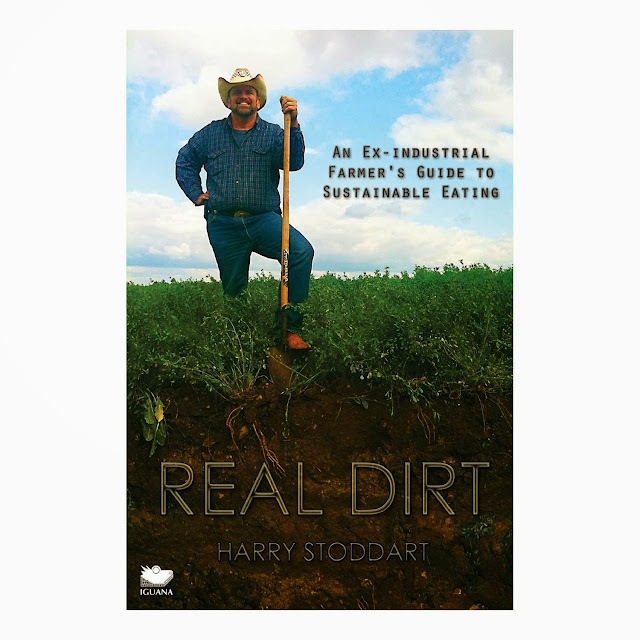 A sixth generation farmer, having taken over the family industrial pig farm and with a masters in business and agriculture, Harry Stoddart made the transition to a more environmentally friendly and sustainable means of producing food. It's a common sense look at how our food is grown and relies on scientific fact, not sentimentality, to argue for change in the agricultural sector. He says he has enough material in the book to make everyone mad at him, from vegetarians to organic proponents to industrial farm corporations. I'd agree with him there, but found it a great book to sort through all the rhetoric and develop my own stance on what forms of agriculture I will support with my dollars. You can order the book through Amazon here. Bruce Lipton takes us on his fascinating journey from successful biologist, to believer in the power of the mind and our environment to affect our health, well being and success in life. 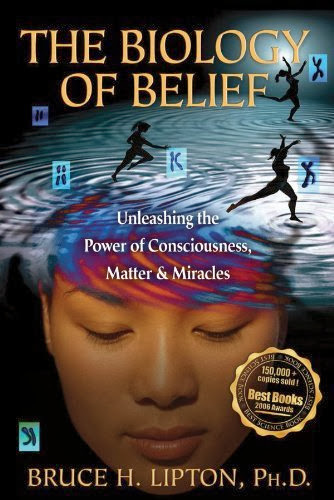 Even though this book is scientifically based, it's written for the layman. This is one of my top 10 books for 2013! You can order the book here. The Promise is a truthful, raw and inspiring memoir of the struggles of one family to heal their four adopted children and create an atmosphere where everyone can thrive and grow together as a true family. 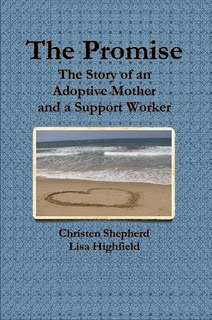 Written by the mother of the children (and incidentally my daughter) and the Child and Youth Counselor, who helped them develop strategies for success, it has proved so valuable to adoptive parents that it is endorsed by many adoptive agencies and the authors are enlisted to speak at Adoption Council functions. You can buy the book here. The next one is a book review that several people have asked me to write and I've avoided for personal reasons. I guess that all goes out the window now! When you've been in a long term relationship, often more than 25 years, and your mate blindsides you by walking out, many are left with no explanation and certainly no closure. Someone you thought you knew well is behaving in completely different ways. A life that was so intertwined with another is suddenly floating without ballast. Absolutely everything in life gets called into question and no one is providing any answers. That is, until psychotherapist and family counsellor Vikki Stark had it happen to her. Her study of the phenomenon led her to write the book that has been a tremendous tool for helping abandoned women understand what happened, regain their feeling of self worth and rebuild their lives. The book was an enormous help to me and whenever I felt someone was having a tough time coming out of their shell shocked state, I've given it to them. Every single one has thanked me for it and passed it on to the next person in need. You can buy the book here. Now that I've reviewed all the intellectual books, how about a little bit of Christmas fun for you? 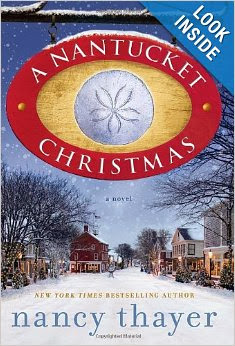 You've earned a sweet, little read that transports you to Nantucket and and the magic that only a Christmas story by Nancy Thayer can bring. It has new love, an adorable kid and an abandoned puppy looking for a forever home, all set in the historic beauty of a Massachusetts island paradise. Ready for the disclaimer? Here it is. I'm an idiot! I have not signed up as an Amazon or Lulu.com affiliate and I will not receive a penny for promoting these books. I just put the links in to make shopping easier. My daughter, however, may say, "Thanks, Mom". Therefore, all opinions are my own. Books are a powerful gift, sign up for amazon it doesn't take long and it doesn't hurt :) however I like that you're recommending them without a means to make money. I love books as gifts. My children have always received a book from one of their aunts every Christmas since they can remember. She always worried that they would see it as boring and wondered if they ever read them...really read them. We have a tradition in which we open one gift on Christmas eve. Often our kids would open their gift of new pyjamas...but one year my son said, "mom, where is the gift from Auntie Sue because that is the one that I want to open". He knew it was a book. He opened it up and later that night he was off in his room reading, fully engaged and "really reading" the book. I think you can not underestimate the power of books. 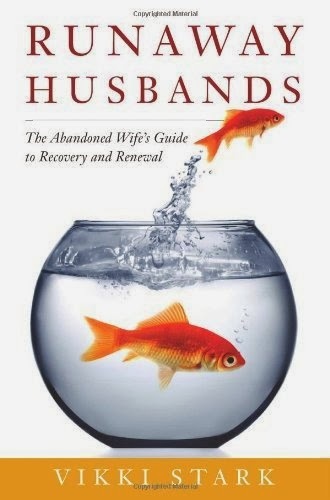 I see one on your list that I will be buying for my husband. Great suggestions and most of them were new to me. Thanks for the recommend. Great post Maureen. Books make great gifts, but so hard to pick the right one. Books always make an awesome present! I love getting them and giving them. Of your reviews...I already have one of them:) and would probably like the last one the best...must be the season!! I love books...I'll be so happy when I have some substantial downtime to read again!! I have read 3 of your books as well as Simple Abundance, they were all your recommendations so thanks. I love books, and your recommendations look really interesting. The trouble is, if I have a good book to read, I tend to do nothing else ! Books are always a great gift; they're entertaining, educational and a peaceful way to spend those quiet moments, sitting by the window, hot chocolate in hand, getting lost in wonderful words. What a thoughtful list of books. Such a great reminder that books shouldn't be overlooked in gift giving. I have Simple Abundance...such a positive book that has helped me refocus and feel a stronger sense of self. Ooooo gosh, those all sound good to me. I have read "Simple Abundance" several times, it's a staple book i always go back to. It's amazing. These guys at Amazon should be paying you because i will surely buy several of these books, probably even tonight! What Makes A Perfect Christmas?